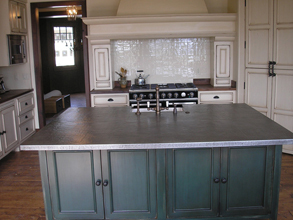 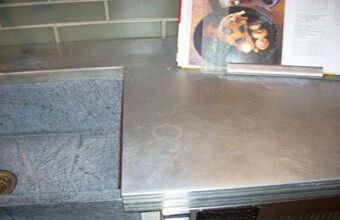 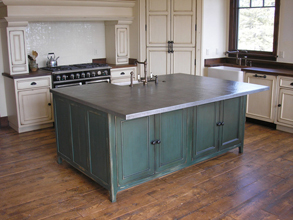 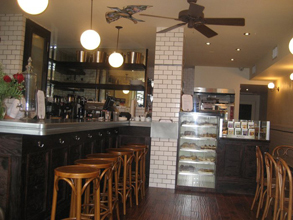 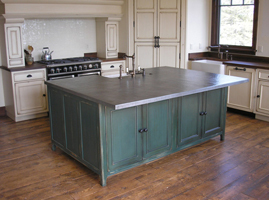 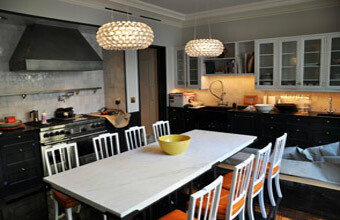 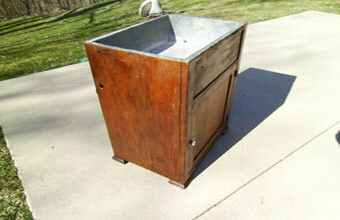 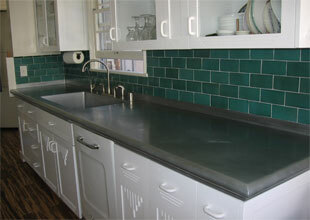 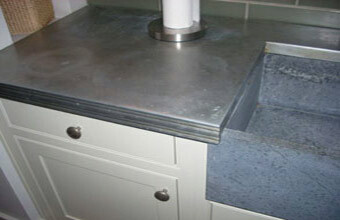 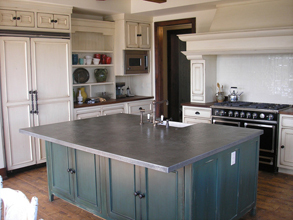 Custom Countertops - #4192 | Handcrafted Metal Inc. 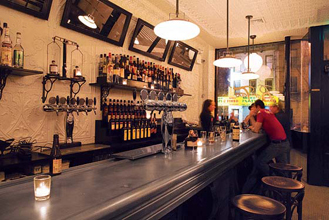 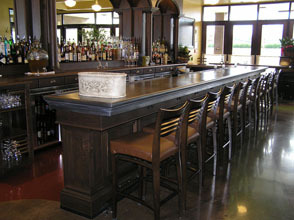 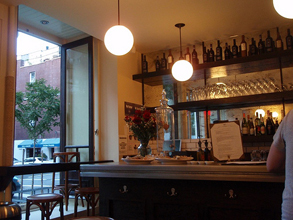 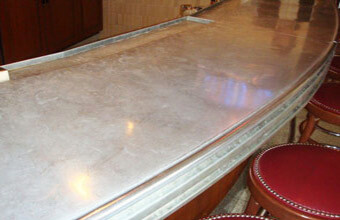 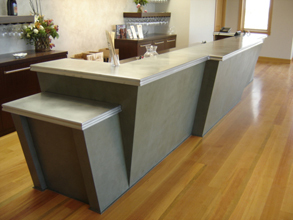 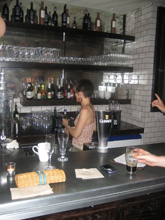 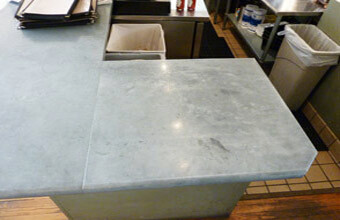 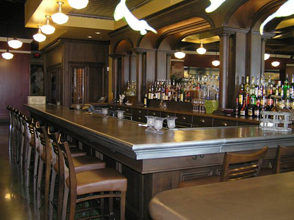 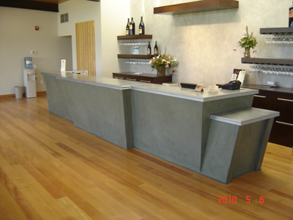 Rounded corners on both ends add character to this pleasing bar top. 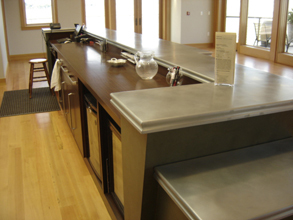 The flat Normandie edge focuses attention onto the curves. 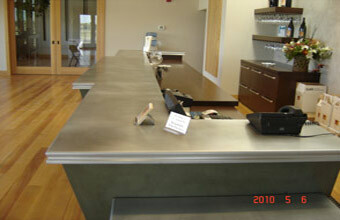 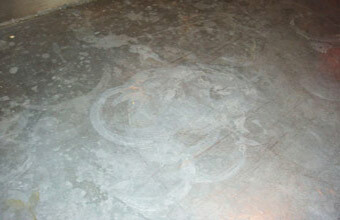 The entire piece is made from smooth zinc, and is naturally-colored and highlighted with a hand rub.